Data loss prevention (DLP) has a poor reputation among information security professionals. 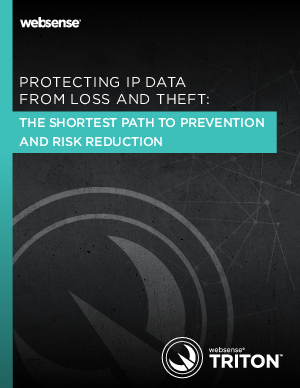 DLP implementations are thought to be complex and costly, and many are left to languish in the data discovery, classification and monitoring phases, unable to ever produce the hoped-for benefits of active data loss prevention policies. High consulting fees often conspire to drive down return on- investment (ROI ) for DLP projects, and crusades to discover every piece of potentially valuable data at rest across multiple business processes contribute to the gridlock. It’s no wonder many newcomers to DLP fear it. an organization to encompass the IP of partners and suppliers. Next, recognizing that process, not technology, drives successful DLP implementation, we outline six steps an organization can take to deploy data security controls. Last, we introduce the Websense concept of “DLP as a defense,” and demonstrate how our DLP technology offers robust and unique features, yet is easy to deploy and manage.